Antedoom (Express Animation), 2018, Pigmented ink print, mounted on acrylic glass, 100 x 70 cm. Antedoom (Godfrey Hounsfield), 2018, Pigmented ink print, mounted on acrylic glass, 100 x 70 cm. 100 Rotten Tricks (#01), 2018, Pigmented ink print, mounted on acrylic glass, 110 x 62 cm. 100 Rotten Tricks (#04), 2018, Pigmented ink print, mounted on acrylic glass, 110 x 62 cm. (from the work Spectral Days) Untitled, C-print, 85 x 60 cm, 2013. (from the work Spectral Days) Untitled, archival ink print, 28 x 20 cm, 2013. (from the work Spectral Days) Untitled, C-print, 63 x 45 cm, 2013. 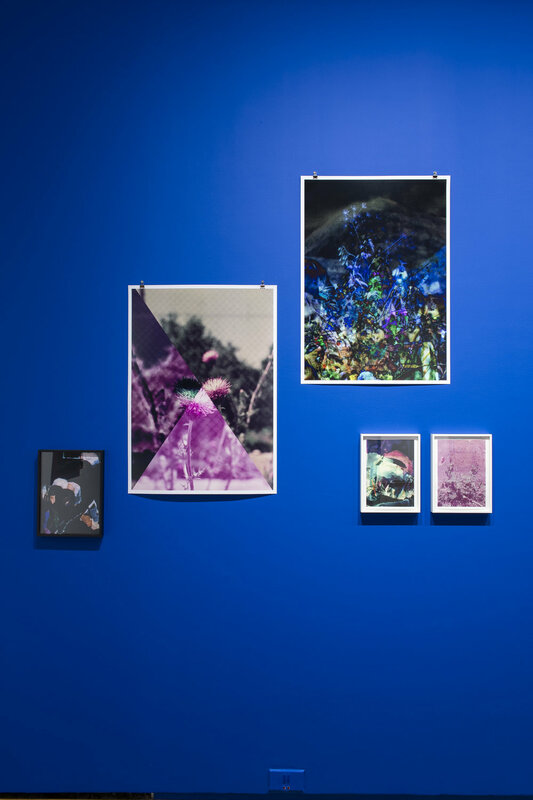 (from the work Spectral Days), Untitled, C-print, dimensions variable, 2012. (from the work Distort the end and turn it into candy), C-print, framed, 85 x 60 cm, 2012. (single work), Flowers, archival ink print, 60 x 45 cm, 2011. (single work), Cats, archival ink print, 65 x 45 cm, 2011. (from the work Oh, no, no... - The Crystal Series), Inkjet print on aluminum, 40 x 60 cm and 70 x 100 cm, 2004. (from the work Oh, no, no... - The Crystal Series), Inkjet print on aluminum, 56,7 cm x 84 cm, 2004.